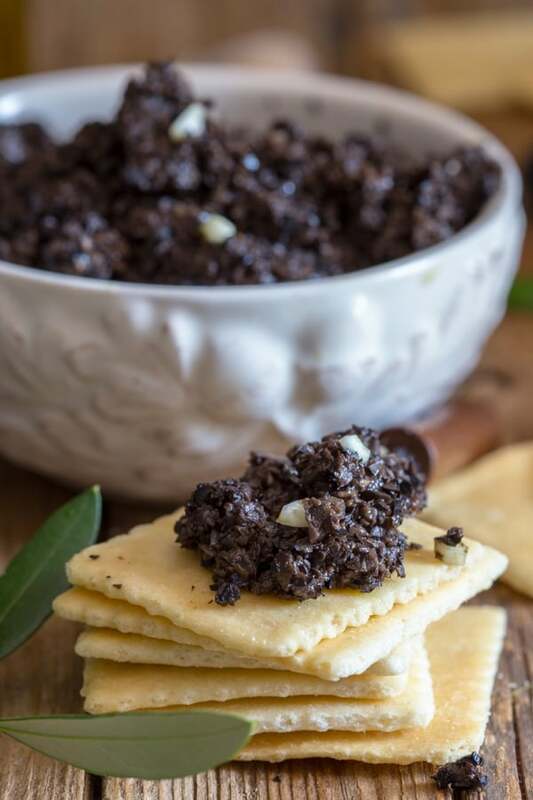 This Easy Black Olive Tapenade is ready in 5 minutes, just 4 ingredients to make the perfect appetizer spread. 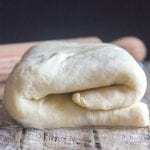 Perfect with your favourite crackers or bread. With olive season almost upon us, we are getting ready for olive picking, pressing and making one of the best things about Italy. Olive Oil. My family are all Olive lovers, me not so much. I ‘m not the olive popping in the mouth kind of person. Although sliced on Pizza, Focaccia or mixed in a delicious Tuna and Olive Pasta, I’m the first at the table. So needless to say this Black Olive Tapenade was the perfect Olive Spread for me (and of course them). I served it with our favourite crackers and some crusty Italian Bread. 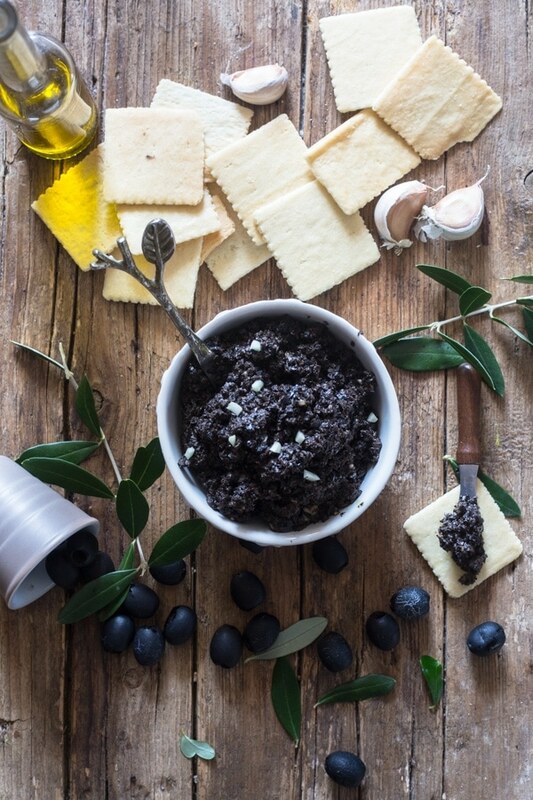 Or if you are looking for a quick and easy Pasta Dish, toss some al dente pasta with some Olive Tapenade and a couple of tablespoons of olive oil. So good. It’s actually very easy to make. In your blender add the chopped garlic, pitted black olives and anchovy (I only added one but if you like a strong taste two won’t hurt). 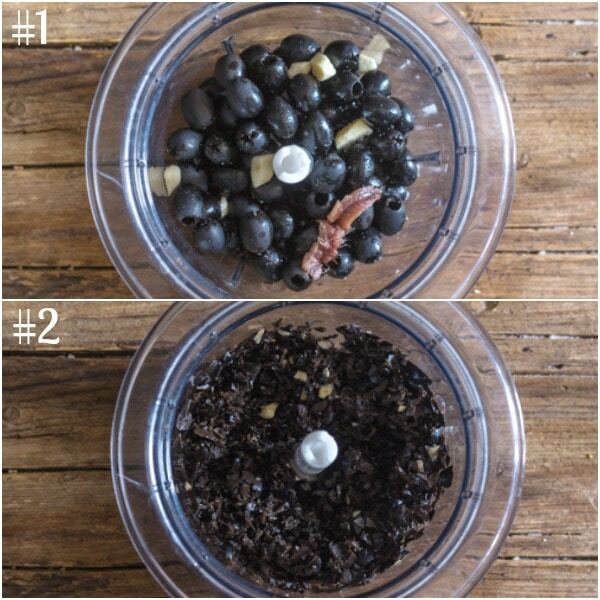 Depending on how salty your anchovy is you may need to add a little salt. It’s always best to taste before adding! And blend, then add the olive oil, one tablespoon at a time until you reach the desired density. I used 3 tablespoons in my spread. 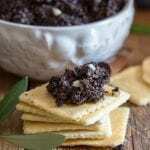 Storing Black Olive Tapenade last? 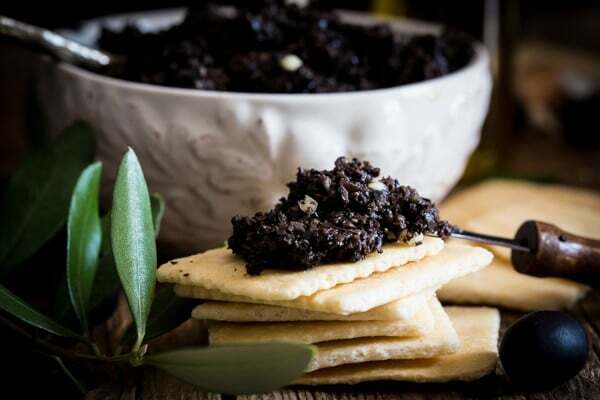 Spoon the homemade Tapenade into a clean glass jar, top with a tablespoon of olive oil. Sealed Jars will keep up to 6 months. Once the jar is opened store in the refrigerator for 2-3 weeks. 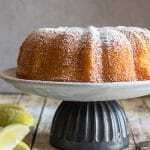 You can also freeze the spread, make sure it is a freezer safe air tight jar. 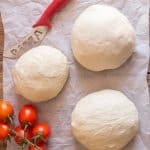 It will last in the freezer for up to 3 months. 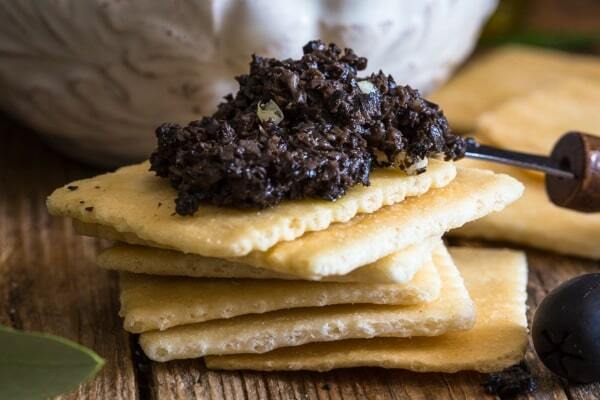 This quick and easy Olive Tapenade will be a delicious addition to your Holiday appetizer spread this year. 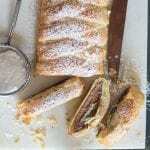 Buon Appetito. In a blender add the olives, garlic and anchovy and blend, then add olive oil one tablespoon at a time and blend until you reach desired density. (taste and add a pinch or two of salt if needed). Serve with crackers or sliced bread. I also tossed this with cooked al dente pasta, add a little extra olive oil and serve. About storage: just fill a jar with tamponade, top with olive oil and close the lid? No heat? Six month shelf life?